September 12-14: ECVIM Congress (Liverpool, England). September 6-8: ECVIM Congress (Maastricht, Netherlands). September 8-10: ECVIM Congress (Seville, Spain). December 3: Cardiac Biomarker Symposium (Copenhagen, Denmark). September 9-11: ECVIM Congress (Toulouse, France). February 27-28: GECAR (Barcelona, Spain). March 12-15: ECVIM-CA Winter meeting. June 3-6: ACVIM Forum (Montreal, Canada). 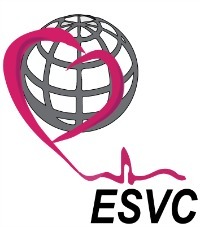 September 7: ECVIM ESVC Pre-Congress Meeting. September 8-10: ECVIM Forum (Porto, Portugal).